Trade shows are essential in business. Whether you are attending or exhibiting, there are a few trade show tips that can help you navigate and make them more successful. You don’t want your trade show investment to be a flop, so let’s take a look at some of the top do’s before your next event rolls around. Determine why you are attending. To meet new suppliers, educate yourself on a new topic, see the latest and greatest? Once you determine the reason you’re going, how you walk the show will point back to your mission. Prepare for the show and know the answers to the following questions: What are the things you need? What are things you want? Attend presentations. I know it is easy to blow these off, but educating yourself on your industry and competition is key. Bring plenty of business cards. You may hand them out to the exhibitors or meet a future employee walking the show. Strike up conversations. You never know who you are speaking with. Set appointments with the exhibitors you really want to meet with. They may not be available if you just walk by. Have an exciting, professional booth. Let ePromos help you. Look professional in custom polo shirts or logo button-down shirts. Cost-effective giveaways are a must to get the casual contact to stop by. Some of our top items include: mints and gum, tote bags and drawstring bags, lip balm, car chargers, sticky notes (great for tagging your catalog! ), and pens. Strike up conversations with everyone. Trade shows are all about face-to-face contact. Follow up. You can do everything right, but not follow up on the conversations, and you have a tradeshow fail. In a survey conducted by Skyline Exhibits and EXPO Magazine, attendees were asked why they attend trade shows, conventions, and conferences. Below are their responses. Our Brand Consultants are here to talk trade shows with you. Are you unsure what promotional giveaways to choose? How many you’ll need? When to hand them out? Check out our guide to custom trade show giveaways, and then call us to get started on your trade show promos. 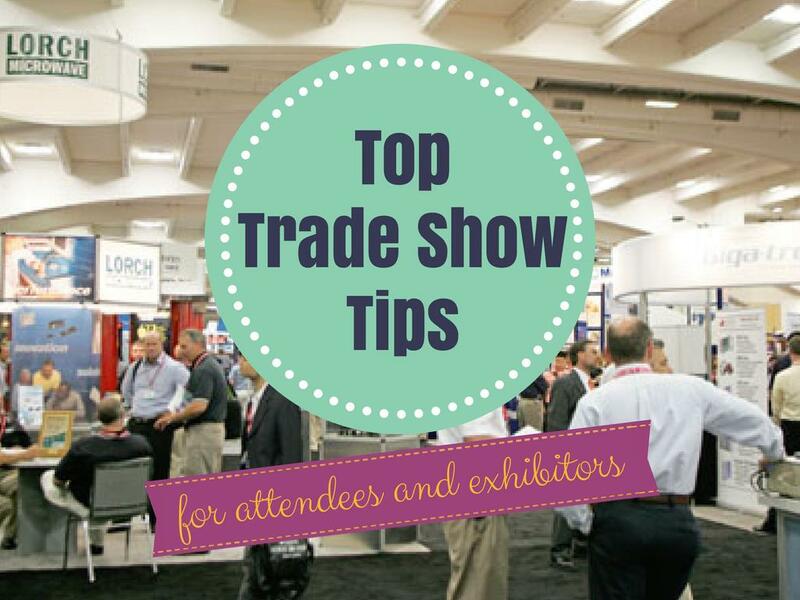 Do you have other tips for a successful trade show? Share them by commenting on this post.